Bindle is a song of loss, of anger, of weakness, of peace. Of what happens in the first blind moments of grief. In a year that has been so wearying, how fitting that this should be the first real recording to come out of our band, Goldfinch. All summer we’ve spent treading water, trying to finish this thing up and move on to the next song, but have found our days totally derailed by events in life. Yet, each time I’ve come back to edit it I’ve been struck by the nearness of my own voice, saying the very things that my heart is crying. And that’s why, I think, it’s been okay that it’s taken these past few months to process through the recording. Because the grief of losing my Dad will take a long, long time, too. And there’s grace on us when we need room to weep, to work through the anger, to feel everything we need to feel. 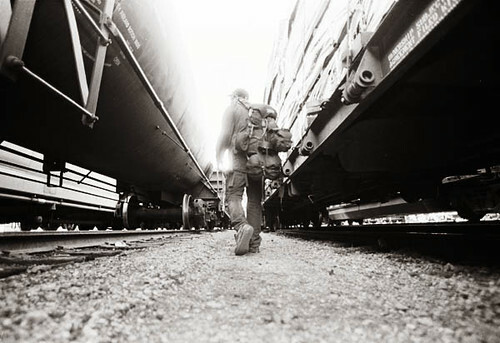 Bindle is our small bundle of worldly possessions, a hobo’s belongings, everything we hold dear and can carry with us. And sometimes, God asks to have it, too. So, I’m ready to share this with all of you and I’m so happy to have had the chance to work on it. It’s been something that’s helped me a great deal. Come, listen, absorb, and enjoy.